Stay on Top of Work With Kevin Eikenberry! It’s Wednesday and it’s time for another episode of our podcast! This time I had a great pleasure of talking with Kevin Eikenberry, an inspiring leadership expert an author of bestselling books. 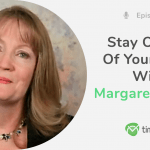 Listen to today’s episode to learn the secrets of an effective leadership, how to manage a remote team, and how to resolve and handle a conflict. 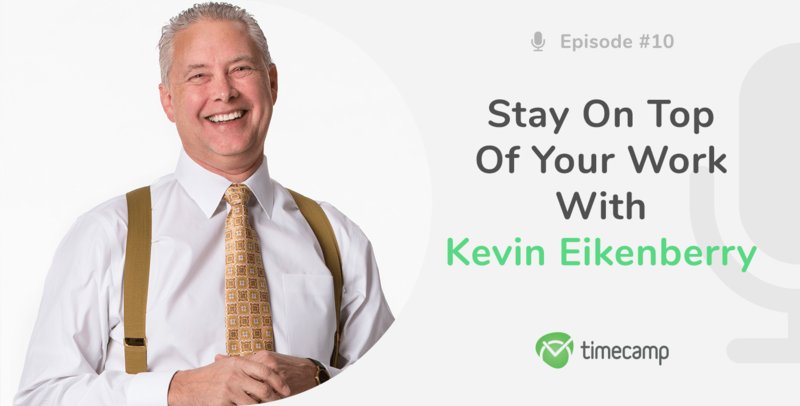 Welcome back to another episode of podcast Stay on Top of Your Work and today my guest is Kevin Eikenberry. Kevin is a world renowned leadership expert, a two-time bestselling author, speaker, consultant, trainer, coach and leader. 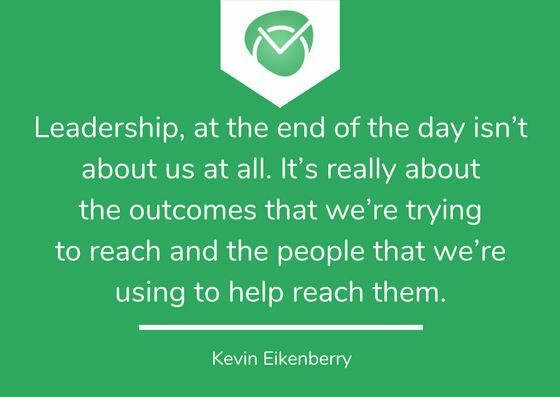 Kevin is the Chief Potential Officer of The Kevin Eikenberry Group, a leadership and learning consulting company that has been helping organizations, teams, and individuals reach their potential since 1993. He has been named to five exclusive lists: In 2014 to Inc.com’s Top 100 Leadership and Management Experts in the World and 100 Great Leadership Speakers for Your Next Conference, American Management Association’s Leaders to Watch in 2015 and Top Sales World’s 2015 Top Sales & Marketing Influencers, as well as the Best 50 Leadership Blog Sites from Ready to Manage in 2016. He has worked with Fortune 500 companies, small firms, universities, government agencies, hospitals, and more. Kevin also is the creator and content developer of The Remarkable Leadership Learning System. Hi Kevin, I’m happy to have you here today! Kevin: Kate, it’s pleasure to be here. Kate: So for the beginning, can you say a few more words about you and about your professional interests? Kevin: Oh my gosh, you already said more than the world wants to know! I guess the thing that I would say is that of all that stuff that you kindly shared, the talk about what I do out in the world for everyone listening today, probably the most important thing to know is that I’m leading a team every day. I’m leading a team that is largely remote from me every day. So, like many of you, that’s the world that I live in. So yes, I spend a lot of my time coaching, consulting, training leaders, writing about leadership, writing my own blog, blogging, podcast. The reality is that just like all of you I’m doing this work every day of leading a team and leading a team remotely, which is a challenge. Kate: So when we talk about being a leader, from your own experience and working with other people, what does it mean to be a good leader? What are the good and bad qualities that you’ve noticed people have and how to deal with that? Kevin: That’s a big question, Kate. I’ll say a couple of things to get us started and then you can take us from there however you want. The first thing that I would say to be a great leader we must be a learner. And so at some level, if you’re listening here, you’re already there, at some level, which is great! But in order for us to be a successful leader, listen, the work of being a leader is complex and challenging. In order to get good at it, we gotta keep working at it, number one. And secondly, I’ve never met a leader, Kate, that didn’t want their team members to be growing and learning. And the best way for us to influence them to do that is to be an example of it ourselves. So the first thing I would say is, to be a great leader you must be a learner, and the second thing I would say is that leadership really, even though I started out here, that we must be a learner, leadership, at the end of the day isn’t about us at all. It’s really about the outcomes that we’re trying to reach and the people that we’re using to help reach them. So I often talk about, in my new book that’s coming out in a few months, The Long-distance Leader, I talk about the 3 O model of leadership: ourselves, outcomes, and others. Kate: I’d like to talk a little bit about your previous book, Remarkable Leadership. What strategies, maybe methods can you describe and provide more information on, how to apply them in the leadership? Kevin: Sure, so that book is called Remarkable Leadership, as you sad and in that book, we really are talking about what we considered 13 competencies that make highly effective leaders and the goal of the book is to help leaders grow in their role every day in one skill at a time. So I already talked about learning being one of these competencies. There’s 12 of others. And the goal of the book and the goal for the reader is to get them very specific, take the ways that they can go work on. Now, because there’s 13 competences, I can stand here, or actually sit here as I talk to you, Kate, and say “hey, here’s what you wanna go do!” But rather what we do throughout the book is we give short little assessments to help you, say, what should I do, where should I focus? Because leadership is big and we’re all in a different place so we should be focused on what will help us make the most progress in a given time and that means that we need to be selective on what we need to be learning, what we need to be growing on. So the goal of the book is to provide those connections and all those skills and to say “if this is where my gap is, here’s what I ought to work on next.” And in every case we’re trying to get people very practical sorts of things so they can go work on. So even if you don’t read the book, I think the takeaway from this, from your question, Kate, is: identify what you want to be working on, where you think you can add the most value right now, if you get better as a leader. And then go out and specifically work on that thing whether that’s getting coaching, whether it is doing some reading, listening to a podcast. Whatever that might be to help you get better at that particular area next ‘cauze we can’t focus on everything at once. Kate: So when we talk about leadership, I’m thinking about team management. How to manage a team in order for it to be good and friendly and to have that nice atmosphere? Kevin: Well, couple things there. First of all, that’s where a lot of people want to think about the team is how do I get everybody like each other? Of course, that would be preferable and, of course, we need people to have good, solid working relationships. So that’s part of how we make a more effective team come together but I believe there’s more to it than that. And as a leader, we have a responsibility in those areas. And one of those is to help build the love commitment amongst the team members which is different than people sort of getting along and having a nice working relationship. It’s about our people committed to each other to the success of the team and so as a leader we need to be working on helping to create that and we need to be figuring out how to build alignment amongst the goals for the team members, the team and how they are related to our organizational goals. So if you’re leading a project team, people need to know the goal of the project, they need to know what their goals are within the project but they also need to know how this project is gonna impact the larger organization, or the client organization or whatever. And if we can’t create that clear line of sight, we can’t have the most successful team as we want. So Kate, to your specific question, one of the things that we need to be doing as a leader is not just providing people with training or a team building exercise but giving people a clear picture of what success looks like, where we’re headed and how we can get it there. If we can do those things and we can set people up to be successful, and help provide meaning for them because they know now what they’re doing makes a difference, those two things will make a big difference. Kate: Okay so how do you think it applies to remote team management? Because TimeCamp is a startup company an at TimeCamp we have a lot of remote workers. So I guess managing a team which is situated in different parts of the world, or of the country is not always easy so how to do it in order for it to be successful? Kevin: So Kate, you ask good questions but you ask big questions! So let me say a couple of things about the remote piece. So if you are, as a listener, on a remote team or if you’re leading a remote team here’s the thing. Chances are you’re pretty productive. All of the research shows that people who work remotely are pretty damn productive. But the challenge that they often have is that they become pretty insular. They become pretty good at their tasks but they don’t really see the bigger picture. So one of the challenges for us as a remote leader, one of many, is to create the communication links and create a sense of inclusion in the team so people feel like they’re on a team and not just doing their own work. So while in big organizations we often talk about people working in silos and this department, that department, and the next department …. the challenge that we have remotely is all of that plus it become much more personal. People are really good at getting their tasks done but they’re not always as good at the collaboration that’s needed and that we as leaders might want from them. So if you’re leading a remote team, you likely need to spend more time in connecting with your team, remote team members and connecting them together, encouraging them to communicate in ways others than through instant message, the project management tool, and e-mail. Kate: Alright, and what do you think about the use of special tools for team management when it comes to the remote team. Do you think it’s important? Kevin: One of the ways we’re able to do it successfully is through technology. Technology can really mediate and help us be successful. And so you and I are using a remote technology right now to have this conversation, we are not, unfortunately, in the same room. And while no one else can see us, we can see each other and so just having a webcam, for example, can make a big difference. So the ability to create something that’s closer to a face to face interaction is valuable. We’ve got a lot of tools and there are a lot of tools in the same space. And I’m not here to say use this tool or that tool. What I am suggesting is two things: use the right tools for the right tasks, I already mentioned that a second ago, we rely too much on e-mail and instant messages when we need to be picking up the phone or getting on the technology so we can see each other, using technology to share documents in the real-time and those sorts of things. So use the tools you’ve got and use them effectively, not only in terms of when you use them but also use all the available technology. So the point of this, most people use about 20% of the available capacity of a given piece of a software or technology, especially in the remote world. We know how to connect, we know how to hear each other’s voices, we don’t know how to share a screen or do a poll or do any number of other things that we might want to do that will actually make our meetings or our interactions more effective. So use the tools for the right purposes and learn how to use tools better would be two things I would say, for sure will make a difference. Kate: Okay, that’s a good advice. So let’s go back to team management. When you manage a team as a leader, there are often conflicts. So how to solve conflicts or maybe how to avoid them? Kevin: Well, there are gonna be conflicts and the first thing I’m gonna say is this. Conflict isn’t necessarily bad. If we never have conflict that either means some people aren’t really sharing what they think or we’re all thinking exacly the same thing, which means we’re not gonna really grow. productively resolve it when it occurs. And the shortest answer I can give you there is, the sooner you can resolve it, the better. The longer that conflict grows, the more tentacles it gets, the harder it gets to be solved, the more block into a mental place the participants are. So as a leader we wanna be watching for conflict and we wanna be helping to mediate it as soon as we can. One of the other things that I would say, that I want to make comment about a conflict in remote but the other thing is this. That is that while I do suggest that we nip conflict in the but I am not suggesting that we as leaders need to immediately and automatically get involved ourselves. The first thing that we ought to do as a leader is we identify that we’re in conflict. Or when someone comes to us with the conflict situation is to say have the two of you tried to work it out? So while I think we wanna solve conflict, I don’t think we should immediately get involved every time or we’ll be involved in some that we don’t need to be involved in. In a remote setting sometimes it’s hard to determine that conflicts exist because people aren’t walking up and down the hall and that’s sort of thing. So I think we have to be more aware. I think we also can recognize that sometimes if people are really staying in their own lane, in their own bubble there may not be as much conflict, but when it starts to occur, it may grow more before we identify it so we just, as a leader, have to be more aware and ready to address it and help to mediate it and resolve it as soon as we can. Kate: That’s a good piece of advice. So when it comes to conflict, this is one of the challenges leaders meet. What are other challenges that leaders meet and how can they be solved or avoided or any other way that can be good for a leader? Kevin: Well, it’s a long list, right? Because we’re leading people and everybody’s different so we have a whole list. A list that one individual could have might be different from anybody else’s. But certainly, there are a ton of things that relate. If leadership is about outcomes and other people, then you can identify a ton of possible challenges in either of those ways like does everyone understand what the outcomes are, does everyone know what their goals are? does everyone have a clear plan for reaching their goals? How are you coaching them to reach those goals? All the sorts of things which start to bleed over the others we’ve already talked about a little bit about teams, a little bit about conflict. But there’s whole bunches of challenges for us around how do we lead and influence change? How do we communicate more effectively? How do coach more effectively? The list kinda goes on and on. And I think, again, for many of listeners here, many of whom are probably either on or leading project teams or have a bunch of projects within their work. Even if they’re not a project manager, I think, obviously, there are a ton of challenges there, all of the kinds of things I just mentioned. Other things too, like, how do manage scope crip? and those sorts of things. So the list endless if you will about all of the challenges that we could face. 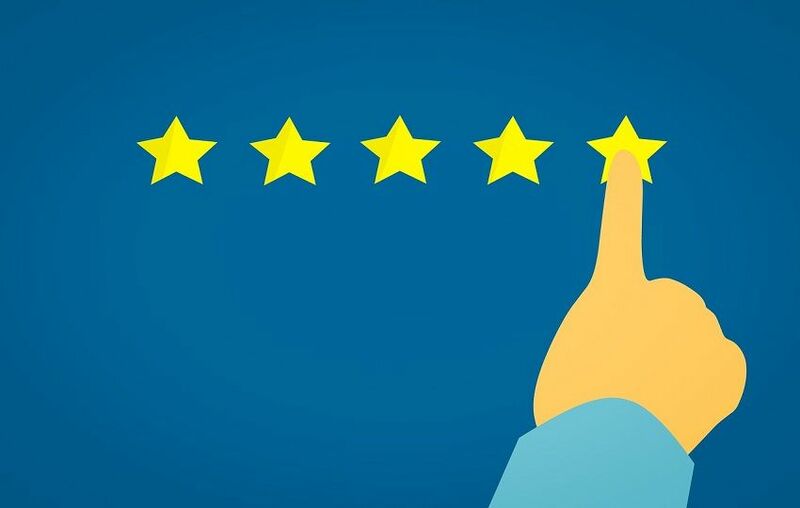 The good news is that as we start to recognize some principles like we talk about in the book Remarkable Leadership, we could start to give ourselves better odds in many of these situations quickly. Kate: I’d like to ask you, when you’re a leader, how to make an impact and stand out and be more influential in the world of leadership? Kevin: So I think there’s two ways that I can answer that question. One is how to be more influential with my team? And how do I be seen or be more influential outside of my team and the larger organization? We can talk about either one. So let’s talk about each a little bit. Number one is, if we’re gonna be more influential with our team, we have to recognize that we are already influencing our team. It’s only a matter if we’re influencing in the ways that we really would hope. So, in other words, our team is watching us, they are looking at us, at our behavior and saying “that is what is expected”. And so if we’re not getting the kinds of outcomes with our team that we want, recognize that maybe we need to change our behavior first, because our influence is, we are already because of our position having some amount on influence. Everyone has an influence, if there are really 3 factors that lead any of us to be influenced by others, one is a persons’ position, which you have as a leader, one is people’s credibility or expertise, if people see you as knowing what you’re talking about, then you’re more influential. And then lastly, what’s your relationships with them, do people belive that you have their best interest at heart, do they believe that you are trustworthy and all those things. So, if I wanna be more influential within my team, I need to think about those 3 things – my position, my expertise and credibility, and my releationships. Now, we take those same things externally, to the external organization adn we still have the last two but the first one in our position is different. A lot of times we think, well, I’m only just a middle manager, I’m only just a first line supervisor, I’m only just project manager, I’m only just an individual contributor so how can I have influence. Well, we can but we have to recognize that we cant rely on position to do it which we sort of have that in our bail, in our pocket, when we’re the leader. So in short, that’s another big topic but there are some things to get people started. Kate: You’re the author of books, what does inspire you in writing your books but also in your work? Where do you take you inspirations from? Kevin: Well, I’m fortunate because as I said I have a team so I have the chance to, so I’m writing books as we’ve talked about, Remarkable Leadership, then we talked a little bit about my brand new book that is coming out in a few months called The Long-distance Leader, which you can go on Amazon or Barns and Noble and get a copy of now preorder. But I have the opportunity to lead a team every day so I have the chance to see what are the challenges that I face. I have the opportunity to coach other leaders so I have the chance to be inspired and have insights from them, both in terms of what’s working and what’s not. And then we spend a ton of time delivering workshops and speeches around the country and around the world so I get the chance to interact. The point is, I get the chance to interact with lots and lots of leaders on different levels in organizations, which gives me a lot of examples and a lot of opportunities to identify where people are stuck which gives us something to write about. Kate: One last question before we finish. 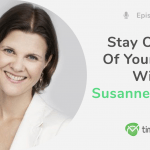 The name of our podcast is How to Stay on Top of Your Work, how do you stay on top of your work? Kevin: So couple of things that I think are helpful. And it’s a great title for a podcast because it’s a great goal for all of us, how do we stay on top of our work? And the number one is I think we have to define our work clearly. And as leaders too often we are in the work and not doing the work of leaders. And so one of the ways to stay on top of our work is to define our work clearly in terms of what is it that we should be doing, what’s the best use of our time, how do we think about what we might delegate, about creating a not-to-do list – things we’re not gonna do at all. All that. So first, if we wanna stay on top of our work, we gotta now what our work is and what the right work is. And then, we need good strategies, and I can share a bunch of them with you, none of which will probably be new. But I think if you’ll have a very clear focus on what I need to be learning so that that makes the list. If we don’t put on the list the important items, we’ll spend all of our time on the urgent items. Like, for example, this morning, 10 till 8 I have a bunch of stuff I could be doing instead I’m dialing in to have this conversation with Kate. This wasn’t the most urgent thing on my calendar but it’s a super important thing for me to have a chance to share with others, for Kate and I to build our relationship and a bunch of other reasons. There’s important stuff here but if we don’t plug in the important, if we don’t schedule to goal work, if you will, then it will never happen because we will be deluged by the activity or be deluged by the urgent. 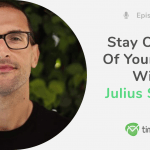 So if I were to give only two pieces of advice, one is to be very clear on what the work is so we can stay on top of it, and then schedule important stuff, those are two pieces of advice. Kate: One more thing I’d like to ask you. What’s is the number one rule in your life, in your work without which you cannot imagine your day? Just one thing that you would choose. Kevin: I will stay in the line of what we were just talking about and I’ll say one of the things that I use. I don’t know if that’s ‘the one’, maybe ‘the one’ is brush your teeth but the one that comes to mind when you ask the question is to always be asking yourself what’s the best use of my time right now? If I know the answer to this question most of the time. And if I’m asking myself that, then I’m far more productive and I’m far more influential, I’m a far better leader, etc. So, if I know what’s important and then I ask myself that question regularly, then I have a much better chance at being successful. Kevin: Thank you! Kevin, it was my pleasure to talk to you, I hope I didn’t interrupt your other duties! 😉 I really enjoyed our conversation. Kevin: Oh no, no, not at all, that’s the point. This is exactly what I should be doing this morning and it’s been a pleasure to be with you and if people can find, as you talked about it, the book Remarkable Leadership, they can go to the remarkable-leadership.com and learn more about that or they can go to your favorite bookseller for that and the brand new book coming is The Long Distance Leader, and we’d love to have people take a look at that, you can preorder it, if you’re listening to this, in the spring, June the book will come out and we’d love to have you there. You can always go to my blog at kevineikenberry.com . Kate: Alright! So dear listeners, you can find more information about Kevin Eikenberry under this podcast. Make sure to check it out and stay updated with the latest news from Kevin and his books! Don’t forget to subscribe for more content and listen to other podcast’ episodes from TimeCamp and have a nice and productive day. See you around. Stay tuned for the next episode in which I’m going to talk with Christopher Cebollero!